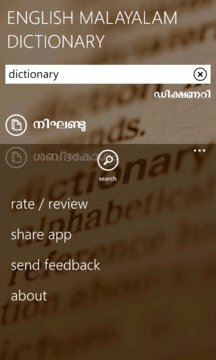 English Malayalam Dictionary application for Windows Phone. As it is using an offline database you don't require an active internet connection. 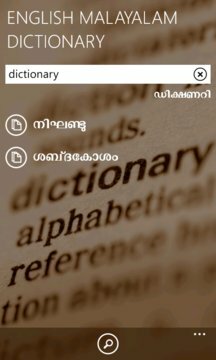 A must application for any Malayalee.